The Thunder Tiger RL-53H Ringed Redline Series Two-Stroke Helicopter Engine (Tower Hobbies stock number L5AHTG02) features CNC construction with a low profile cylinder head which is anodized a bright red. The two-needle carburetor uses a push/pull throttle lever and a heat insulator between the carb and the engine case for consistent performance under demanding flight conditions and cowl enclosures. A ringed piston runs in a composite cylinder liner coating, together with a criss-cross pattern etched on the sleeve wall, with a knife-edged high-strength connecting rod and reinforced resin rear cage ball bearing support for ultra-high performance. 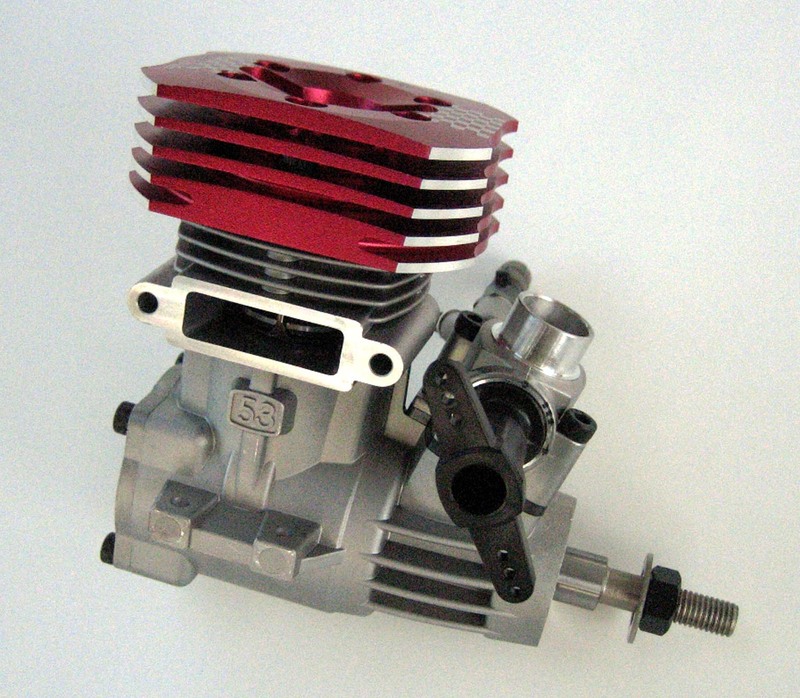 Supplied with a Redline R3 glowplug with platinum alloy filament, two head shims and an instruction manual, it’s designed to run with heli blend fuels with 10-30% nitromethane and 20% lubricant.